Blog Finished Perfect Work in You! Finished Perfect Work in You! The process is not the outcome, and you are My Workmanship, says the LORD. I Am on task in your life. Trust Me in the process of your becoming all that I have purposed for you! For even when you think nothing is happing, nothing is changing, nothing is moving, I Am working on you. I Am working in the unseen, and the unknown. The process is progressive, even when you think nothing is working, and nothing is happening, says the LORD. I Am your builder and maker, says the LORD. What I do is always good, and I use good materials. I do not have to go back and fix something, and nothing that I do can be accomplished in a better way. You cannot out-do perfection. 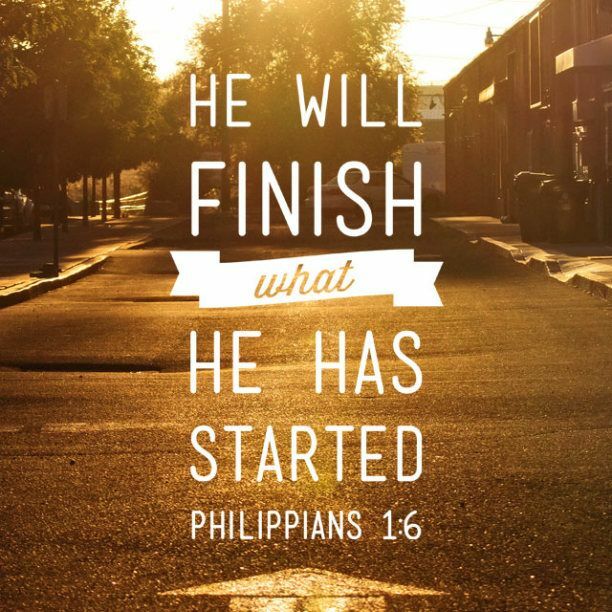 You cannot see the finished work that I have begun in you, but I can. Things are on schedule, and nothing is delayed, for I cannot be pushed, stopped, manipulated, or controlled. Be patient with the process, for MY LABOR in you is not in vain, and it will produce what I have intended, according to My perfect will and plan for your life, says the Lord. 17 Responses to Finished Perfect Work in You! Amen! Confirmation of what I have heard. Thank you. God is definitely on time. Hallelujah to the LAMB, Amen !! !